Hormone replacement therapy (HRT) is a medical treatment that seeks to replace a woman’s missing or declining hormones, says HRT pioneer Marla Ahlgrimm. HRT has been used to treat women for a number of hormone-related conditions since the mid-20th century. HRT is most common in menopausal and postmenopausal women, though it has recently gained popularity in transgender women. Marla Ahlgrimm notes that Premarin was the first commercially available HRT in the United States and was formulated using urine from a pregnant mare. Premarin is an estrogen that is different from estradiol produced naturally by a women. Marla Ahlgrimm, who began dispensing natural HRT to help her pharmacy patients manage hormonal symptoms in the 1970s, says that most doctors prescribed the same standard dose to each patient. Ahlgrimm was one of the first pharmacists to advocate the use of compounded bioidentical hormones, which are those that are identical to hormones produced naturally. Premarin utilized synthetic hormones. 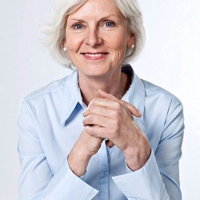 Many professionals today believe -- as Marla Ahlgrimm has believed since the beginning of her career – that true relief of menopause and PMS symptoms can only be achieved through a customized dosing model. She points out that women’s hormone levels are different, even among women in the same stage of life. For this reason, compounding custom therapies is the key to helping each woman overcome her most bothersome symptoms. According to Marla Ahlgrimm, properly administered HRT can reduce or eliminate hot flashes, irritability, mood swings, and fatigue. The future of HRT is dependent upon how accurately hormone levels can be measured and how well the medical community can match specific hormones’ bioidentical makeup. HRT, when combined with a balanced diet and a healthy and active lifestyle, can have a profound effect on a woman’s quality of life. For more information on the risks and benefits of hormone therapy, visit the North American Menopause Society online at menopause.org.